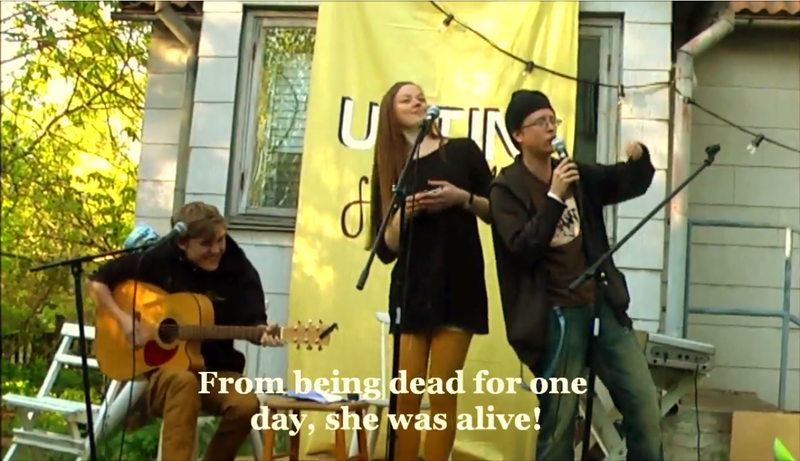 A few months ago me and my friends Andreas and Sandra were invited to a local music festival to sing a few songs about the Jesus Revolution. TESTIMONIES was the first song we sang, and it’s the first one in our – God-willing – coming album. You can listen to and download it on Soundcloud. Let’s turn to Mr Hip-hopper and listen to what he says. From being dead for one day, she was alive! But wouldn’t it be nice with some from not as far away? Come on now Mr hip-hopper, what do you have to say? What evidence possess we, Mr Hip-hopper, to show? It’s time we bring the best we got, get ready and let’s go! By Micael Grenholm in Signs & Wonders on September 5, 2014 .